Flowers are blooming, birds are chirping, and the days are getting longer. Spring is finally here, and many homeowners are eager to start working on their yard. Well, we are here to remind you to add chimney care to your to-do list! Ensure spring rains don’t take their toll on your masonry by calling our team. If you own a chimney and fireplace, then you know how harmful spring rains can be to your masonry. Because of this, having well built and correctly installed caps and crowns is vital to keeping your system better protected. Learn more about each of these below, then count on the team here at Magic Broom Chimney Sweeps to help you out with your regular maintenance. Our CSIA certified sweeps have got your back every step of the way. Chimney caps cover the top of your chimney, ensuring no excess moisture can easily get in. They come in a wide range of styles and sizes, and we are certain we can find the perfect match for your needs in no time. Chimney caps are an affordable and highly effective solution to many chimney owner’s water-related problems. The great thing about chimney caps is that they serve other purposes, as well. They also keep excess dirt and debris out of your chimney, and they will stop birds and other animals from entering, too. Have problems with downdrafts? A chimney cap is sure to help you out. Finally, they help to keep stray sparks from landing on your roof and starting a fire. If you do not have a chimney cap in place or if your current chimney cap is broken down or damaged, having our experts come in and set you up right is one of the best things you can do for your fireplace. Get the protection you deserve by counting on our crew today. 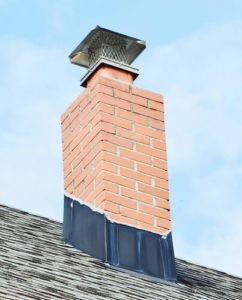 Chimney crowns also play a big role in keeping your chimney protected from potential water damage. They begin at the flue liner and extend past the edge of the chimney, ensuring any water is sent out and away from the sides of your masonry structure. All in all, crowns play a significant role in keeping your brickwork and mortar better protected. Without them in place, water would simply roll down the sides of your chimney, causing a lot of damage along the way. Unfortunately, not all crowns were built equally, and many were made from simple mortar mixes, which just don’t do the trick when it comes to providing you with the sturdy and long-lasting results you are hoping for. At Magic Broom, we can rebuild your crown so that it meets the requirements necessary for getting you the protection you deserve. So, why depend on us for your chimney-related needs? Our technicians are trained, experienced, and passionate about bringing you the best care possible. When you rely on our educated crew, you can rest easier knowing we take your concerns seriously and that we always strive for ultimate satisfaction. Get the care you are looking for by giving us a call today.